These galvanized steel pipes are made of steel that has been covered with a layer of zinc metal. During the galvanizing process, we immerse the steel in a molten zinc bath, ensuring a tough, uniform barrier coating. Consequently, Zinc's natural corrosion resistance provides the steel a long-term protection from various environmental hazards. Apart from preventing water corrosion, it is equally effective in dry and indoor environments. 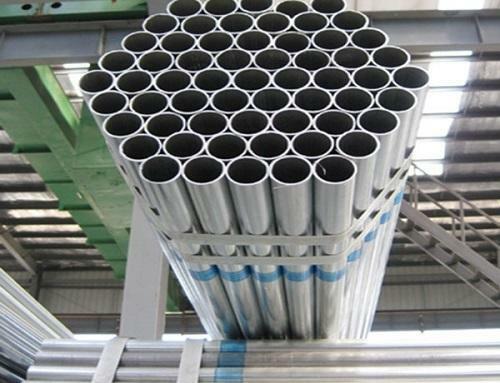 The Pipes and tubes that we manufacture, are made of galvanized steel & are primarily used as building materials. For years, designers, builders and consumers seeking long-term structural performance in the harshest of outdoor applications have turned to our zinc-coated steel pipes. Zinc-coated galvanized steel pipes and tube resist the attack of wind, water and road salts.